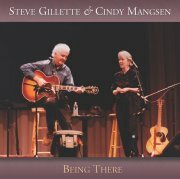 Steve & Cindy's latest duet CD: with a dozen new songs. "The Best Ever!" Contains songs from many of our heros, new ones of our own, and help from Nat Parke, Pete Sutherland, Mark Schatz, Scott Petito, Jennifer Weeks and Jack Williams.